rate trajectory and demonstrate our commitment to remaining our customers' wholesale provider of choice." 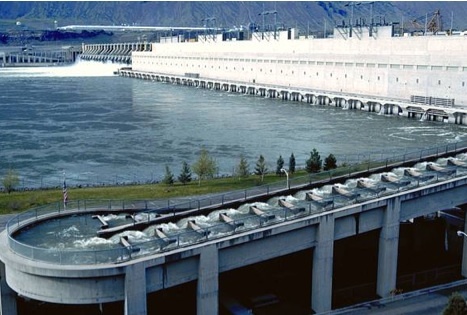 The Bonneville Power Administration has released its initial rate proposal, which it says will support investments in the Federal Columbia River Power System that provides hydropower to 142 Northwest public utilities. The proposed rates for fiscal years 2018 and 2019, says the agency, "will also support investments to sustain and expand the federal transmission system." BPA is proposing a 3.5 percent average wholesale power rate increase and a 1.1 percent average increase to transmission rates for the two-year rate period. "These rates represent months of work to reduce budgets and focus on cost-management measures to lower expected rate increases," said Elliot Mainzer, BPA's administrator and chief executive officer. "The steps we have taken so far for the 2018-2019 rate period have begun to shift BPA onto a more sustainable rate trajectory and demonstrate our commitment to remaining our customers' wholesale provider of choice." BPA started discussions on expense and capital spending levels for fiscal years 2018 and 2019 in June during the Integrated Program Review and Capital Investment Review process. Customers, constituents and stakeholders from around the region participated in the process by taking a look at BPA's proposed spending levels. "BPA has used aggressive cost management, disciplined budgeting practices, operational efficiency and revenue enhancements to lower expected costs in the final spending levels released in October," the agency said in a press release. The average proposed wholesale power rate is $34.94 per megawatt hour, an increase of 3.5 percent for the rate period, or 1.7 percent annually. About half of the rate increase is due to higher program costs such as the operations and maintenance expenses BPA pays to the U.S. Army Corps of Engineers and the Bureau of Reclamation to run the federal hydro facilities, and increased costs of the fish and wildlife program. The other half of the rate increase is due to lower forecast sales due to general regional load loss and a slight reduction in forecast system generation. In addition, many power customers will see a lower proposed rate increase of 2.3 percent due to a one-time credit that was generated from savings created from Regional Cooperation Debt transactions that were initiated in 2014. Transmission Services "was able to minimize spending increases by focusing on mission-critical work and planning investments that provide the greatest benefit to ratepayers, which is reflected in the 1.1 percent average transmission rate increase for the rate period or 0.5 percent annually," said BPA. BPA believes it will still be able to provide reliable transmission service to its customers and invest in substantial capital projects during the upcoming rate period while delivering a rate increase "that is less than the rate of inflation." BPA is also proposing a new financial reserves policy in this initial rate proposal that will set targets for financial reserves levels. The proposed policy is intended to maintain and strengthen BPA's financial health, as well as support BPA's credit rating. "BPA is committed to working with customers and other constituents to identify additional cost-management alternatives through the IPR 2 process," said Mainzer. BPA will hold an IPR 2 process in February to discuss a few unresolved cost areas where the greatest potential exists to further reduce near-term spending as BPA continues to focus on cost containment. The rate-setting process begins in November and will culminate with final rate decisions in July 2017; the new rates will take effect on Oct. 1, 2017.